Wednesday 3rd May 2017, 6:30 pm. Venue: Room 4.31, University of Edinburgh Informatics Forum, 10 Crichton Street, Edinburgh, EH8 9AB. This event is free of charge and open to all. No registration required - just turn up. Refreshments and networking from 6:00 pm. This meeting is supported by NCR. An interactive presentation+discussion with Dalim Basu and Edinburgh Branch colleagues. How can we help UK organisations to understand and manage their ICT-related challenges and risks in the uncertain transition process toward and through Brexit, and to benefit from a new world of opportunities? Come to join us to learn and contribute to views about this important topic. Dalim is an IT professional with expertise in IT Governance and Risk Management. His experience includes IT audit, compliance, controls, security, PMO and project management. He is a Director of DSL IT Risk Management Consultancy, and has worked in the UK and other countries for major financial and business services firms such as PwC, KPMG, Chase Manhattan Bank, ITN, Lehman Brothers, Lloyds Banking Group, Mitsubishi, Mizuho Bank, Nomura, Shell and Zurich Financial Services. As voluntary activities, for many years Dalim has been Chairman of the dynamic North London Branch (NLB) of BCS, The Chartered Institute for IT. At NLB he has led a small voluntary team to successfully plan, coordinate and deliver over a dozen IT-related events per year, including many on ‘hot topics’ with high-profile presenters. He is also the Events Director of ISACA London Chapter, delivering events on IT compliance, risk management, assurance, governance, security and cybersecurity. 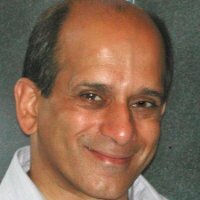 He is a judge of BCS/Computing ‘UK IT Industry Awards’, and chairs and presents at other events and conferences. He also mentors and guides IT students, innovators and entrepreneurs at London University and elsewhere. Dalim is a firm believer in the high value of IT professionalism and actively encourages and promote it at many levels – including at events and conferences with various organisations in the UK and overseas. He believes in the high value of BCS in ‘making IT good for society’ – for example his interactive presentations on ‘Brex-IT: how to do IT’’ (about an IT readiness programme for SMEs) has been well received by a number of BCS Directors, Branches and Specialist Groups.